Afef Khnissi was born in 1982 in Nabeul, a city in the northeast of Tunisia. She is a geologist, currently pursuing her PhD in hydrogeology, and an aspiring politician. 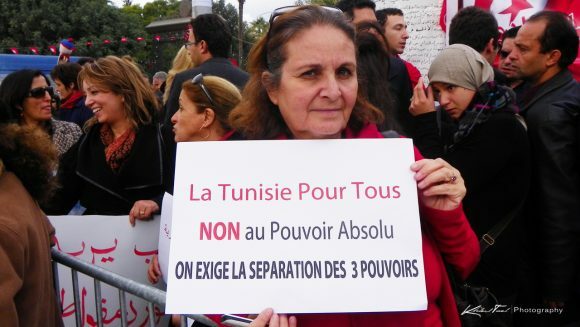 She is a member of the political party Hirak Tounes el Irada (Movement of the Tunisian Will), a small opposition party which currently has four seats in parliament. She describes herself as an ambitious person who is keen to get ahead in life. It was for this reason that Afef decided to apply for the Tunisian School of Politics in 2016. The School was founded in 2012 by NIMD and its implemen­ting partner, the Centre des Etudes Méditerranéennes et In­ternationales (CEMI). It offers a one-year training programme for young politicians. The participants are all members of one of the nine political parties which are represented in Parlia­ment with three seats or more. They include Members of Parliament but also promising young politicians who are involved in the leadership bodies of their party. The course equips this new generation of political leaders with the skills and know­ledge they need to participate in the political game, and trains them to be democrats and change-makers within their own political parties. Calls for democracy during the Jasmine Revolution (Tunisia for all. No to absolute power. We demand separation between the three powers). The Jasmin Revolution that took place in 2011 radically changed the Tunisian political landscape. Although it is often cited as one of the only success stories of the Arab Spring, Tunisia’s transition to democracy after decades of authoritarian rule has not been easy. It is one thing to successfully organize elections, but cultivating an inclusive and democratic culture does not happen overnight. One of NIMD’s priorities is improving the political participation of women and youth. The electoral law adopted in 2011 stipulates that there should be an equal number of men and women on election lists and that the fourth candidate on each list should be younger than 35 years old. As a result, 34% of seats in parliament are occupied by women. But still, very few women have been able to secure positions of actual power. The same is true for youth. So strengthening the position of women and youth in politics and helping them to gain access to political opportunities is a key objective of the programme. When the Revolution took place, Afef was in university, having just started to pursue her PhD. She had been socially engaged since she was a young child. But now, for the first time in her life, she was free to express herself politically and to participate in the political life of her country. In Afef’s view, that there is a gap between older and younger generations of politicians in Tunisia. Young people have a different mindset and a different way of interacting and communicating with each other. Ahmed Driss, CEMI Director, confirms this. Older politicians tend to be more content with the status quo, whereas young people are more reform-minded. This is clearly visible in political debates about, for example, educational reforms, where older politicians are much less convinced of the need for change. What is needed, says Mr. Driss, is to teach young people about democratic values and to encourage them to be optimistic about their futures. Having grown up in an authoritarian state, it is easy to be pessimistic about the prospect of having an open and transparent government, especially when progress is slow. Helping young reform-minded politicians to succeed is key to consolidating Tunisia’s democratic transition. 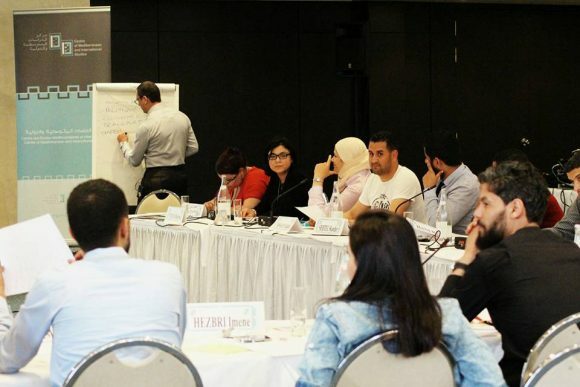 The Tunisian School of Politics brings together young politicians from diverse backgrounds. “At the beginning it was no paradise,” Afef says. Sometimes there were heated arguments between participants with different viewpoints. They struggled to get along and to accept differences of opinion. She describes how the course helped her and the other participants to understand each other better and accept differences even when they disagreed with each other. By the end of the programme, despite their differences, they became a close-knit group. They still meet each other socially and look for opportunities to work together. The TSoP also taught her that being an opposition politician does not mean simply rejecting everything the government does. Instead, it is about critically monitoring the government and engaging constructively by proposing alternative paths and solutions to the problems the country faces. For example, when there was an economic slowdown, the opposition proposed a national dialogue between government, opposition and civil society to address the problems. They also suggested focusing on strengthening the public administration and fighting corruption. Despite being an opposition party, they were able to contribute to resolving national problems. One of the things Afef is passionate about is passing on the lessons she learned to others. She is involved in training and coaching men and women in her own party with the skills she acquired in the Tunisian School of Politics. In fact, this was one of the reasons she first joined the course. Currently, she is also mentoring members of her party who have just started the School. As a geologist, she is especially interested in drawing attention to environmental issues. She is also passionate about the role of women and their contribution to politics. As Ahmed Driss explains, one of the objectives of the course is to allow young politicians to become change-makers within their own parties. So the course includes topics like campaigning, party programmes and communication, which can help political parties to function more effectively. Former participants have been involved in establishing youth wings or even a political academy in their political parties, including Machrouu Tounes and Afek Tounes. In this way, the Tunisian School of Politics helps young people to become agents of change in the political sphere. 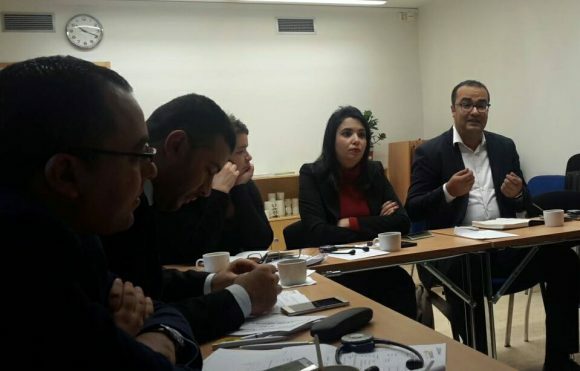 Afef successfully completed the Tunisian School of Politics together with 35 classmates in 2016, and was one of nine participants selected to take part in an exchange visit to Finland to learn about the political system there, organized by NIMD’s partner organization DEMO Finland. These nine were the best participants from each party represented in the School. 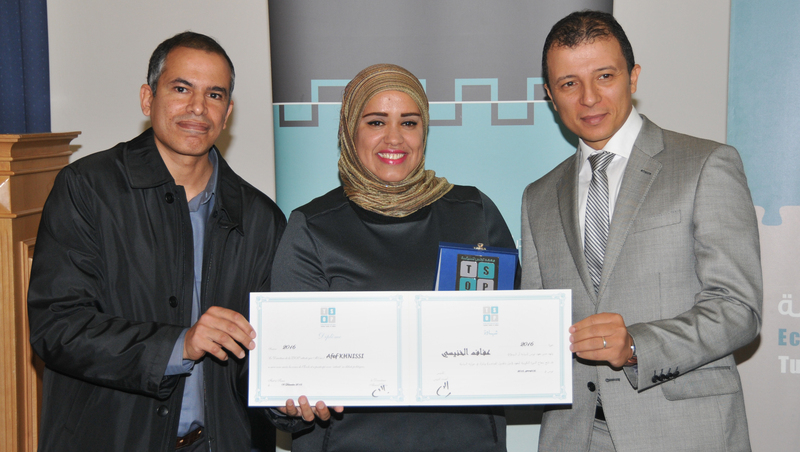 This year, she is following the second level course of the Tunisian School of Politics, which helps alumni build on the skills they learned in the previous year. The participants are currently working together on an anti-corruption strategy. One of Afef’s ambitions is to one day be a Member of Parliament working on environmental issues. The Tunisian School of Politics exists to help young and talented people like her to pursue such ambitions and overcome the many obstacles in their way. Democracy is about much more than just holding elections. In order to thrive, it needs politicians that are accountable and a political culture that values cooperation rather than conflict. NIMD contributes to this by investing in a new generation of leaders and equipping them with the skills they need to practice a new brand of politics, away from the authoritarian tradition they grew up in. This is crucial in countries like Tunisia, which are in the process of a democratic transition.